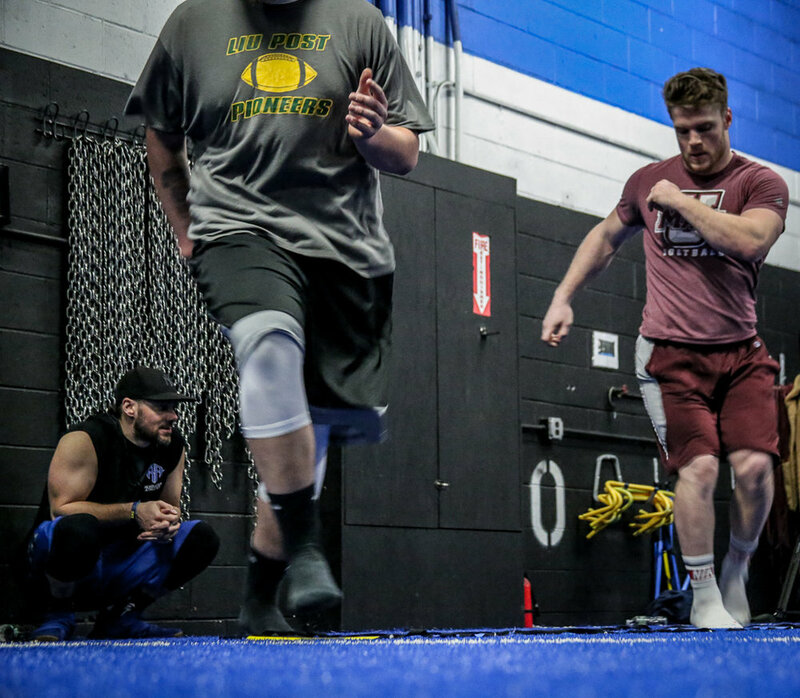 As a former Division 1 AA football Student-Athlete and graduate of Hofstra University, Justin Kull, founder of Revolution Athletics and Head Performance Specialist, understands the hard work and dedication it takes to perform at the next level. Justin worked for the top training facility in the nation and has brought that knowledge back to his home of Long Island, New York. He founded Revolution Athletics in 2005 with the main goal of providing the top speed and strength training for Long Island athletes and together with his team, Revolution Athletics has become a premier training facility on Long Island. Besides producing 6 Hansen award winners, Justin and his team have trained over 5,000 athletes and 28 All American Athletes that have or are currently playing their perspective sports at over 50 different Division I institutions. He has also trained the top Long Island athletes that have been recognized and awarded Newsdays’ the Rutgers Trophy, Zeller Award, Boomer Award, NFF Receiver Award, Cassese Award, and the Burnett Award to name a few. Revolution Athletics Combine program has produced the top performers in the NFL combine each year. He has trained athletes from all the major professional leagues NFL, CFL, AFL, MLB, NLL, MLL, NHL, and MLS. Justin’s talent is his ability to assess athletes in movement. His attention to detail and movement assessment abilities allows him to identify weaknesses and break down each part of an athletes’ movement. He is constantly setting the industry trends with his unique training programs, helping athletes perform at both the collegiate and professional levels.